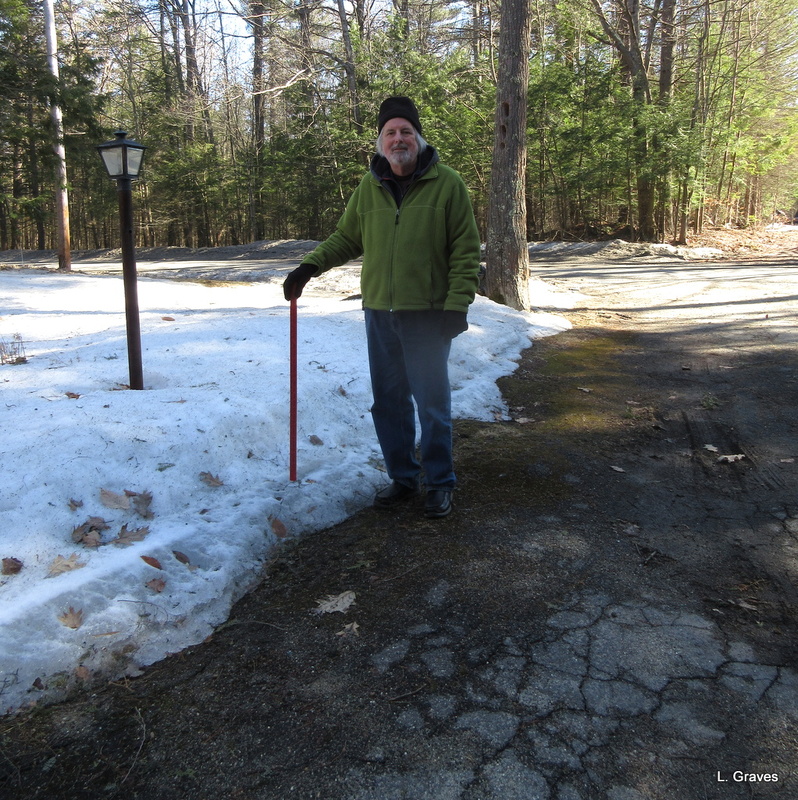 Here in Champlain Valley the snow is mostly gone. It was beautiful but its departure is also a relief. Our porch table is out, a bit of early season optimism…..
Our patio table will be out soon. I hope by Earth Day. This makes me smile. I know how good it feels to know that spring is on the way! The yard is clearing. Hooray! 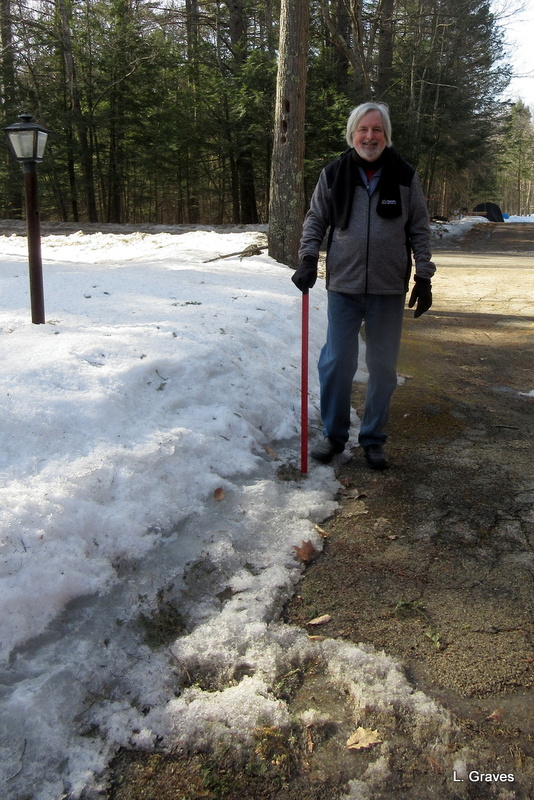 Clif won’t be steadfastly measuring for much longer. Still, it’s not happening fast enough for me! Must be a great feeling to have them. Glad you understand my excitement. 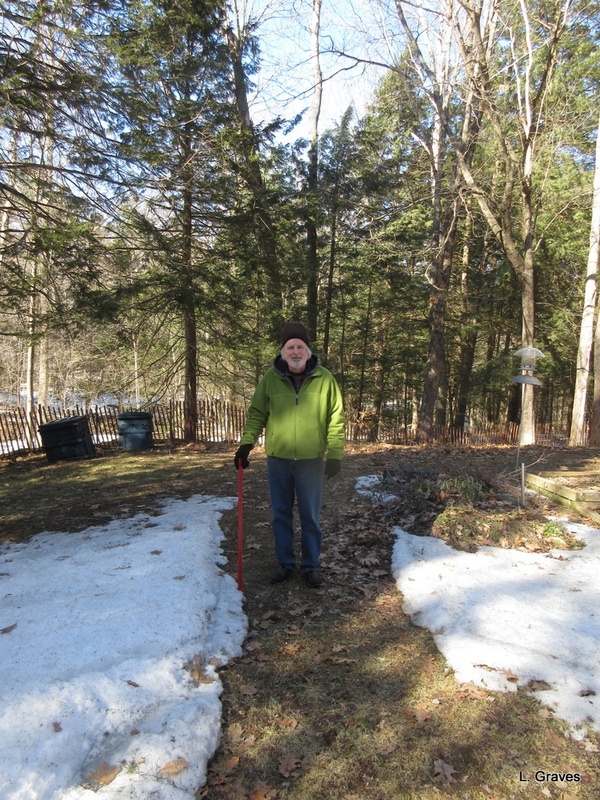 After a long, cold winter, many of us are bursting to get outside. It must be lovely to see the snow thawing. We keep being given tantalizing days of sunshine followed by hideous grey wet windy ones – sending us right back into winter. My internal thermostat is in a right old muddle. I know what you mean Laurie. It’s happening! Here, too, and I am so ready! Today in Maine we are having a jolly good snow storm. Onward, ho! 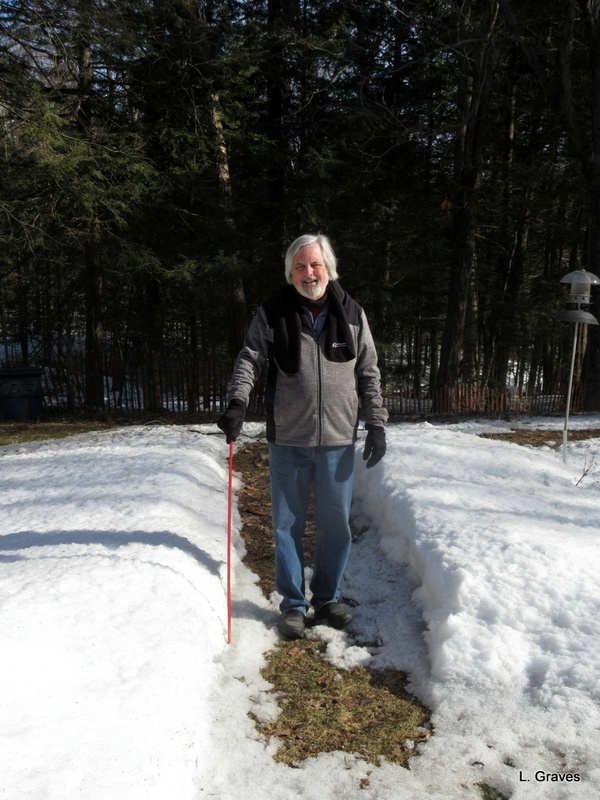 Yay for melting snow and warm temps! Our snow has been gone for a couple of weeks, but we’re still waiting for most spring blooms. Hurray, hurray, lift those glasses and celebrate! 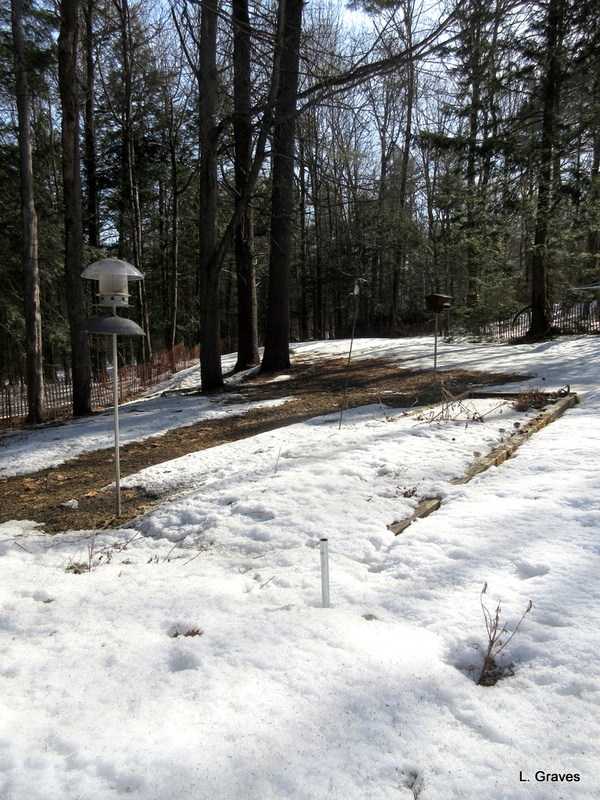 Every day we see just a bit more bare ground, even after snow from the night before! 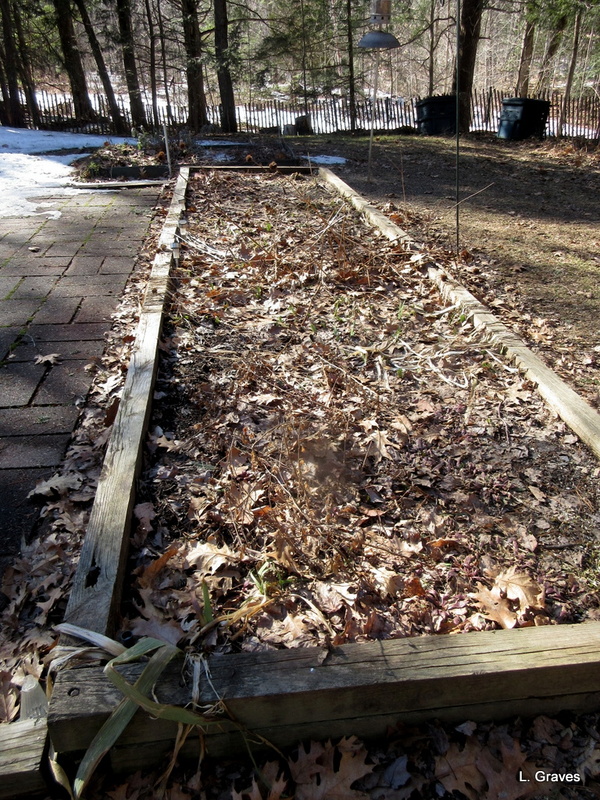 Springs a’coming! And today it snows. 😉 Never mind. It will be gone soon. I am so pleased for you, Laurie and yes, what an amazing difference! 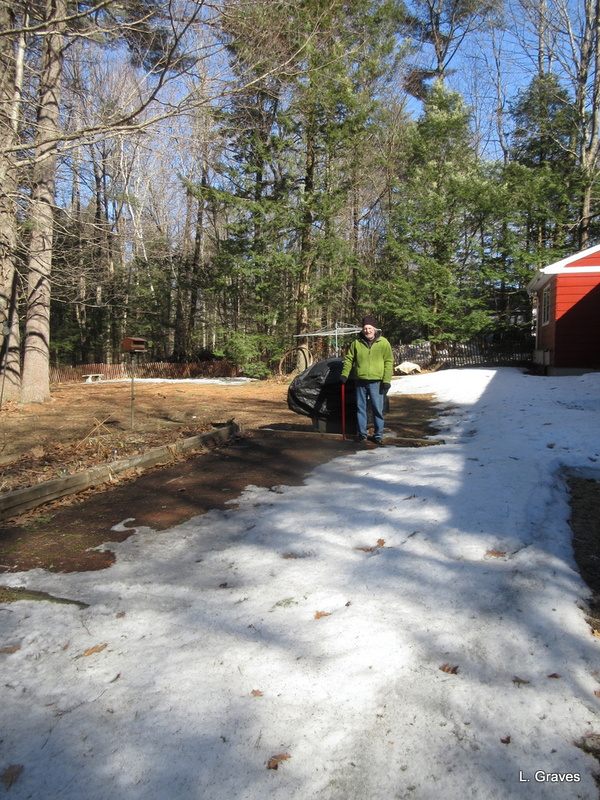 And then there was April 8–snow coming down like mad. Patience, patience, patience.